It’s Time for the Royal Summer Shawl! UPDATE: June 10, 2015. The Royal Summer Shawl is no longer available for free as it was stated in the original text below that it would be for a limited time only. You may now purchase it in my Ravelry Shop! It’s time for a Royal Summer Shawl! As promised, the pattern will be FREE on the blog for a limited time. How long? Well, I haven’t made up my mind yet but rest assured, I’ll give you heads up before I take it down. ELK Studio fans are great, and I’m honored to have your support! I hope you will enjoy this pattern and show me your finished projects! I hope you enjoy the pattern. Have a blessed day! Mystic – A Free Crochet Beanie Pattern! Have you ever made the same hat and created 4 different looks? With the Mystic Beanie pattern, that’s just what you can do! It’s all in how you change your color sequence. Someone will think you needed several different crochet patterns to make these hats but nope…….just one. Once again this beanie hat is made from the bottom up. One thing that I did differently with this hat than Morning Frost or Country Appeal was to add a few decrease rounds. The stitching didn’t allow for a smooth gathering at the top like I wanted on the Mystic beanie, so I tried a couple of rounds of decrease stitches and really liked it. So…if you like the decrease rounds, you could easily incorporate them into the other two hats as well. #1 Key Ingredient – When I created my band, I crocheted 72 rows which made 20” for me. After joining my band on round 1, I made 72 sc around the band. If you need more or less rows to meet your desired width, that’s okay. Just remember in order for the stitching to come out right, your initial sc round must be divisible by 4. For example, if it took you 63 rows to achieve 20”, you would need to make sure you had 64 sc around for your first round. Another example would be if it took you 68 rows to achieve 20”, crochet 68 sc around for your first round. The instructions for the pattern are for the solid version. Once you are familiar with the pattern, scroll to the bottom of the page to the thumbnail pictures with the color change sequence instructions. 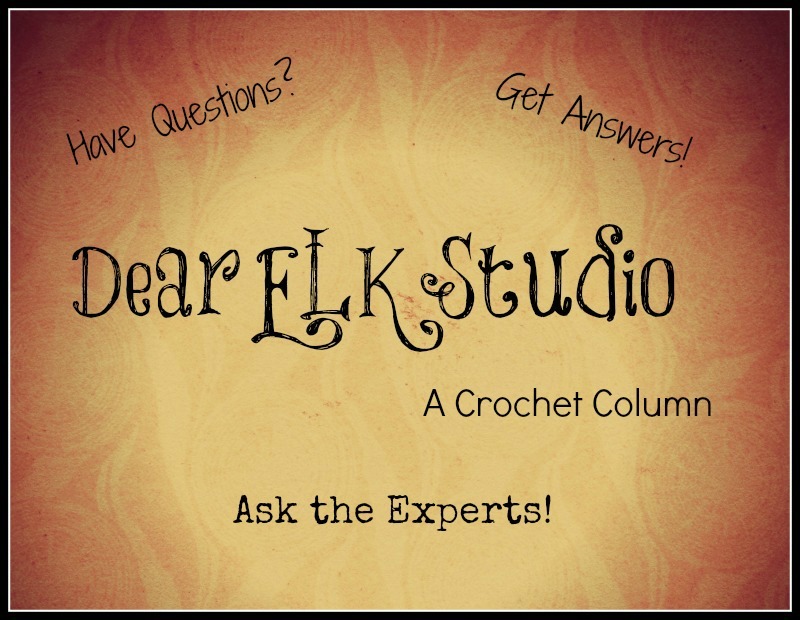 Don’t forget to subscribe to the newsletter for all the FREE ELK Studio patterns! Red Heart Soft, or any worsted weight #4 yarn, 150-175 yards. The instructions for this hat, as given, will fit an adult measuring approximately 22”. The hat can easily be adjusted to meet other sizes. When I completed the band, the 72 rows measured approximately 20” and fit perfectly on my model measuring 22”. There is a great guide on head measurements provided by Cre8tion Crochet. It will give you the average size of head measurements (including length) from child to adult. I use this reference a lot as Lorene does a great job of thoroughly explaining the specifics required to successfully making a hat that fits. Notes: In the pattern, I always will tell you to sl st in the last stitch. Watch for the instructions in one of the rounds because it will begin with telling you to also sl st in the next stitch. This is CORRECT and will help you be successful with the pattern. At the end of row 72 do not cut the yarn. Take you tapestry needle and join the ends of your rows using the whipstitch method. Insert your hook once again and begin with round 1. Round 2: ch 1 and sc in same sp, *skip next sc, 3 dc in next sc , skip next sc, sc in next sc*, repeat from *to*, join with sl st to sc. Round 4: sl st in next st, ch 1 and sc in same sp, skip next dc, *3 fpdc around sc in round below, skip next dc, sc in next dc*, repeat from *to*, join with sl st to first sc. Do not fasten off. Measure out enough yarn to weave through every other sc. I’m an overachiever and probably cut around 20” of material. Crochet 2 rounds using the same color then alternate the color on the next round. So, crochet rounds 2 and 3 using the same color yarn and change your color on round 4. Alternate your color every round. Alternate your color every 2 rounds. So, crochet rounds 2 and 3 using the same color yarn and rounds 4 and 5 are the same color yarn. This hat will not end on round 16, but rather on 17. One more round didn’t make that much difference in the length of the hat as you can see from the picture. I hope you enjoy all the different styles you can get from the Mystic beanie pattern! I would love for you to share your photos with me too!